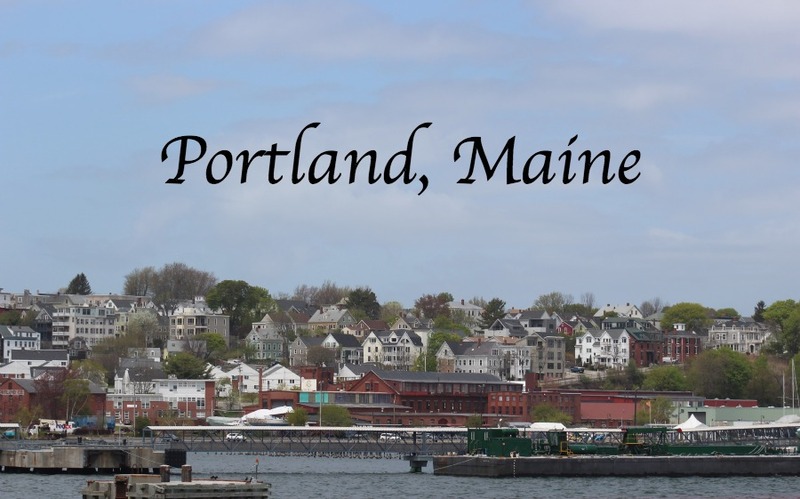 P and I have talked about going to Maine for a while now. 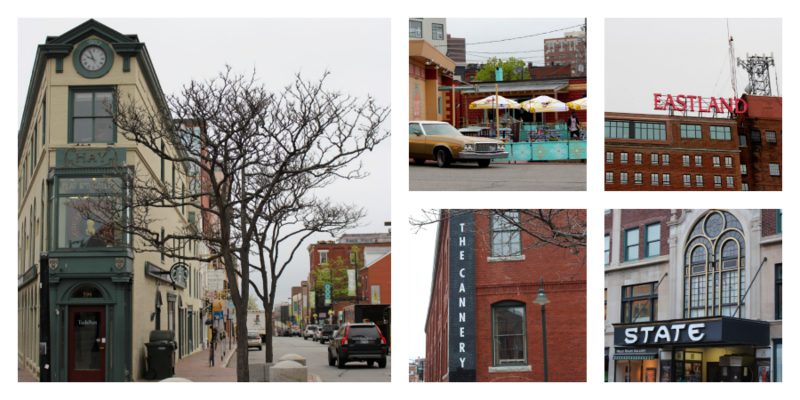 I wanted him to experience eating a full lobster and what better place to do that than Portland, Maine. 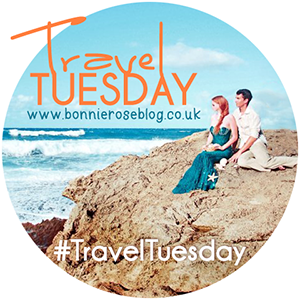 Our trip also marks off #36 on my 101 in 1001 list!! True to form it was mostly eating and drinking (is anyone shocked, anyone?! 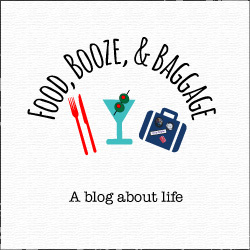 ), I still feel like I’m recovering and we went in May 🙂 I’m starting the Portland recap off with the views, followed by booze, and finally the best part, food. 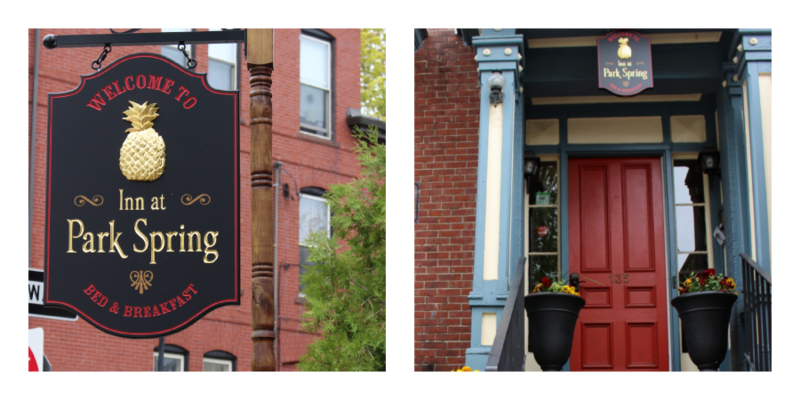 We stayed at The Inn at Park Spring, a charming little bed and breakfast, centrally located. It was nice and cheaper than staying at one of the chains. While it was comfortable and we enjoyed it, I did feel that the innkeeper was a bit put out that we did not attend breakfast. We had too many other meals planned to accommodate one more. I’m not sure P and I are bed and breakfast people, as we really only use our room to sleep and shower. I got the feeling that we were not “enjoying” the property as expected. 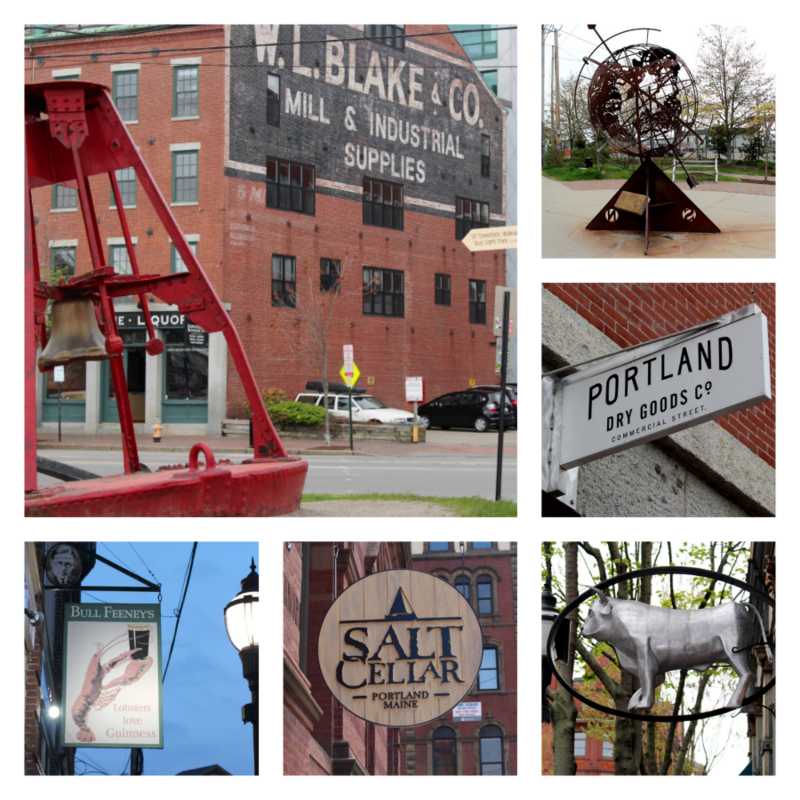 The Portland sign below, we went by all three days to see if I could capture it without this stupid truck…nope that truck was there all three days! At the Salt Cellar, P and I picked up some flavored salts to bring back. We got sriracha, ghost pepper, and balsamic flavored salts. The shop was really neat and had lots of flavors to choose from. 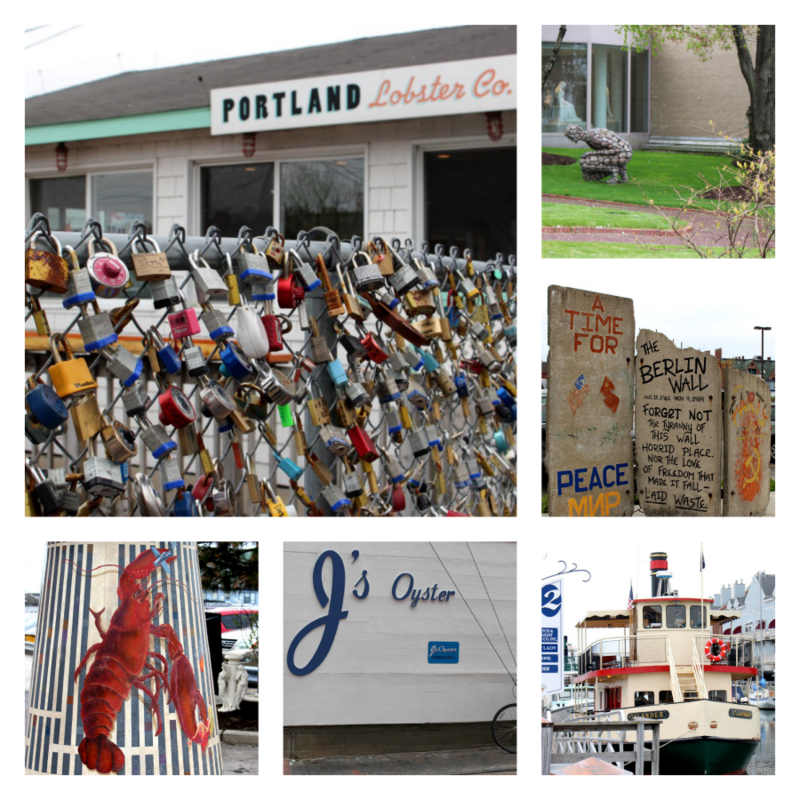 Portland hosts its own little take on a love lock bridge, in this case just a fence. They also have a part of the Berlin wall….there was no plaque or anything about why it was obtained by the city, but still neat. P and I planned on doing a boat tour as part of our visit, but it was cancelled due to lack of interest. 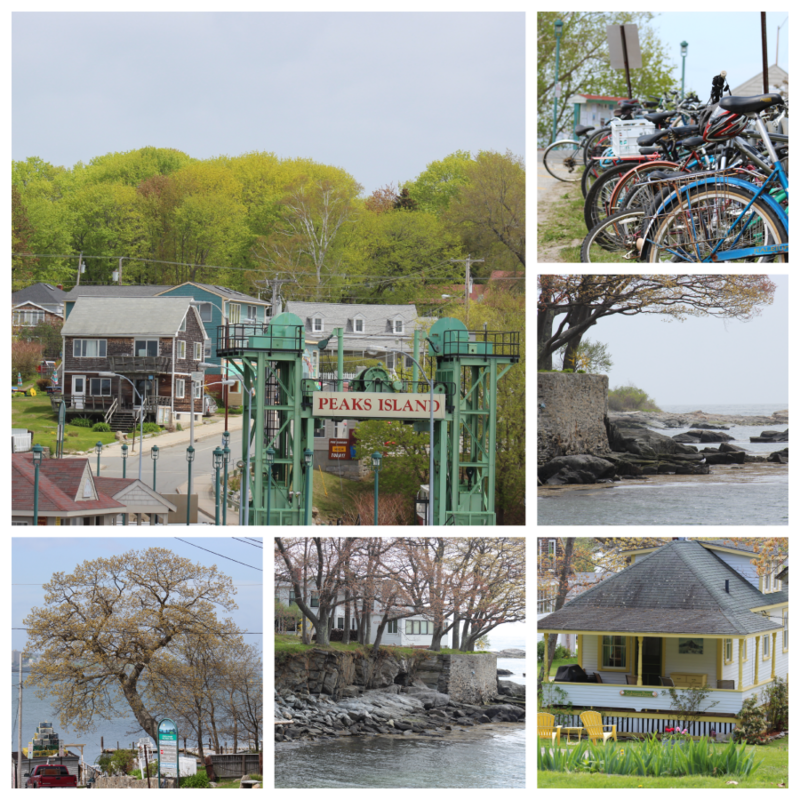 We instead, grabbed the ferry over to Peaks Island. 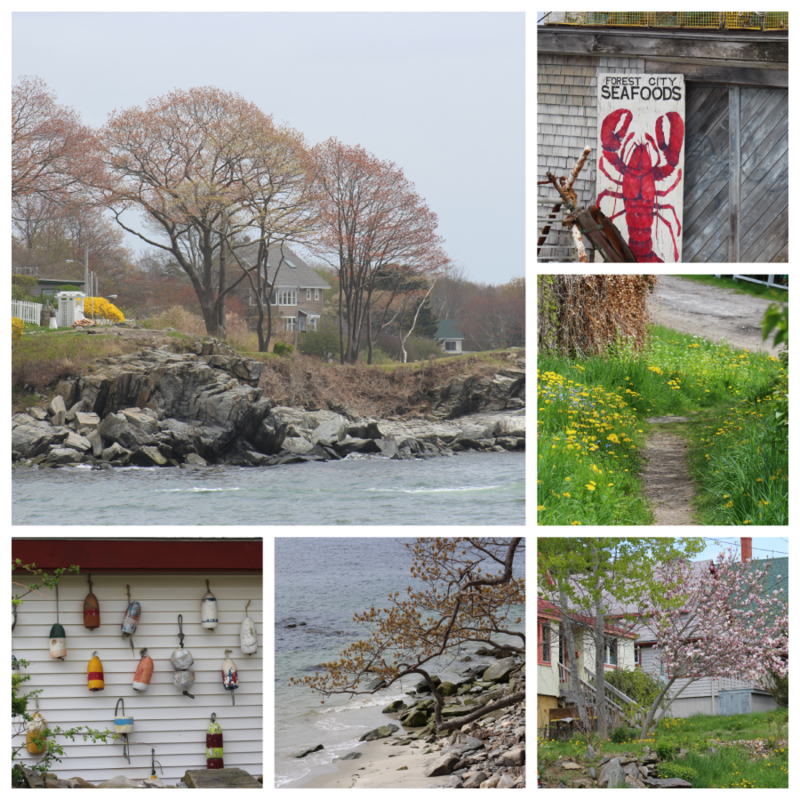 Peaks Island was a small, charming little island community. We really enjoyed our walk around the island. I imagine during tourist season it is a lot more crowded, but our walk was nice and quiet. As I mentioned, we went in May, about a week before official tourist season starts (May 14-May 17). The weather was chilly staying in the 50s and 60s, dropping to the 40s at night. I recommend packing a warm coat, especially if you are going out on the water. 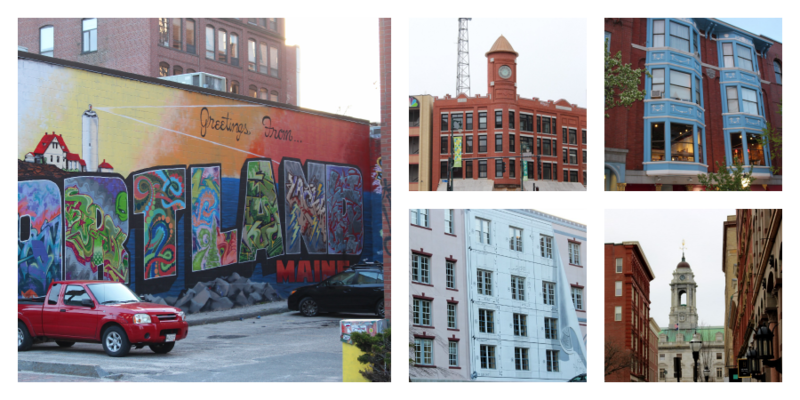 Have you ever been to Portland, Maine? If so, what are some of your recommendations?